Are you feeling overrun by pests on your Denver property? It happens here in Colorado, where insects and rodents can pose major problems for home and business owners. Pests happen, but so does outdoor pest control. At Lawn Doctor in Denver we believe our clients shouldn’t have to resign themselves to living with tiny uninvited guests in the yard, or worse, the house. 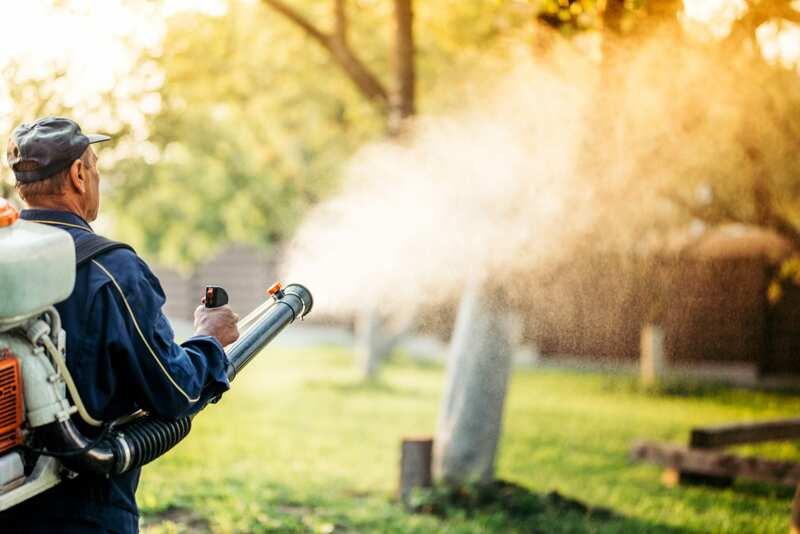 We provide full-scale pest control service to eliminate unwanted pests and help you take back control of your interior and exterior living spaces. Are you planning an upcoming outdoor event in Denver and don’t want guests to be annoyed by bugs? Maybe you aren’t ready to commit to a full-scale pest program. No worries. Lawn Doctor customizes our pest control service by offering a single treatment application. It’s just another way Lawn Doctor in Denver strives to ensure our customers enjoy the best lawn care service experience possible. Our outdoor pest control service covers spiders, ants, fleas, ticks, earwigs, flies, gnats, and soil-dwelling wasps. An ounce of prevention is worth a pound of cure. This truism also applies to pest control service. Every dollar you invest in prevention at your Denver location saves many more dollars compared to the cost of getting rid of pests that have already hunkered down, dug in, and are ready for battle. Lawn Doctor in Denver applies an exterior treatment around the perimeter of your home to prevent an outbreak. Our recurring schedule includes spring, summer, fall, and winter applications for year-round protection. Are you already dealing with an infestation? Lawn Doctor can help. We offer reactive elimination services to the outdoor areas of your property to help you reclaim your Denver home or business. We strive to minimize the number of treatments done inside your home and instead focus on preventative solutions/strategies like perimeter treatments. During every Denver season, our innovative approach targets adult pests and nests to prevent future outbreaks.